No, it’s not : just needs a few buckets of paint. Anyway, thank you Lord Mc Rashley : your picture has reminded me lots of things. 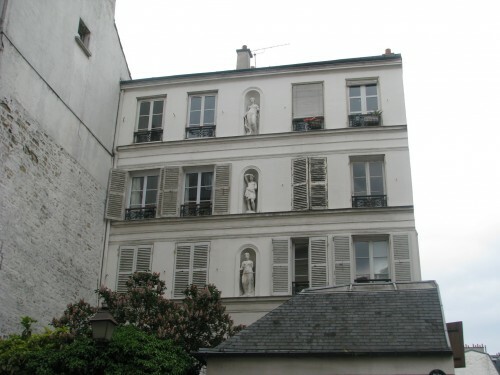 This building stands at the entrance of the rue Durantin, where I lived four years long. Yes it is. It’s just square. Granted, some hack architect took the time to gouge out some alcoves and toss in a handful of pretentious statues, but that does not change the fact that this is just a generic, cookie-cutter block. The most you could say is that it has nice window blinds.